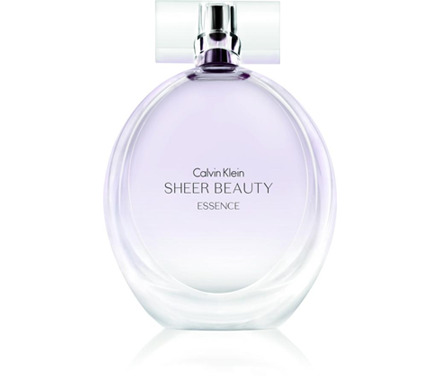 In spring of 2013, Calvin Klein launches Sheer Beauty Essence perfume, which is a new version of Sheer Beauty from 2012, which is also a flanker of the original fragrance Beauty from 2010. The new fragrance is supposedly inspired by femininity and graceful confidence; it is airy, striking and elegant. Top notes radiate with nashi pear blossom and juicy white peach. A rich floral bouquet composes the heart, featuring notes of lilac, peony, magnolia and Turkish rose. Airy musk, vanilla and cedar form the basis of the perfume. It is recommended for daytime wear.